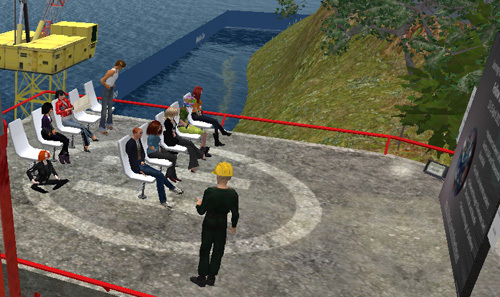 Johnson Zuta, my avatar, has just finished showing some of the delegates of the JISC 2010 conference, Innovating e-Learning, around the oil rig located in the lagoon of the Media Zoo Island in Second Life. The rig was used as part of the very successful JISC-funded DUCKLING project. After receiving a briefing on the helipad of the rig, delegates spent 15 minutes or so familiarising themselves with the structure. Johnson had also given them a specific task to do. Unfortunately, the alarms sounded and everyone was forced to evacuate the rig by boat, re-assembling back at the jetty. Luckily, there were no casualties. Following the oil rig scenario, there was still a little bit of time to show the delegates SWIFT‘s new self-directed learning area on the island. 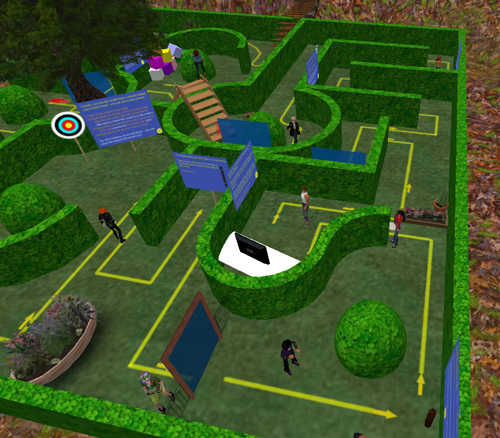 This area – in the form of a maze – allows newcomers to Second Life to practise movement, camera control, and other vital in-world skills. Part of a publicly funded project, Dr Paul Rudman – the maze’s designer and builder – is keen to see it utilised by other institutions and individuals. Equally, anyone interested in utilising in their teaching the oil rig and its associated artefacts should contact me at simon.kear@le.ac.uk. Beyond Distance first began to research the use of e-book readers in higher education back in 2008 at the beginning of the DUCKLING project. From our research, distance students overwhelmingly reported that accessing course materials on the e-reader was a very flexible, convenient study method which helped them target the most relevant readings, well suiting their busy, on-the-go lifestyles. Yet, especially in the earlier stages of the project, I wondered about the long-term viability of e-books and e-book readers. E-book reader prices were not terribly far off from the price of netbooks, and publishers did not seem to be in a rush to make books available as e-books. Today, especially since the UK launch of the iPad in May and Amazon dropping the price of the Kindle in June, the scene looks very different. But it isn’t just the low price of the Kindle or the cool tech of the iPad. It’s the fact that huge players like Apple and Amazon are managing to persuade publishers to make books, even textbooks, available as e-books. It’s also the fact that Amazon wisely made its Kindle App (the programme which nicely displays the e-book) freely available for iPad, iPhone, Android, and both Mac and Windows computers (and it seems to be do-able in Linux as well). So now, students can take their reading list, check titles on a growing list of online e-book vendor websites including those of W H Smith and Waterstones, and download the e-book right now and likely for a lower price than the paper version. If they are lucky enough to have a reading list filled with the old classics such as Plato’s Republic or Huckleberry Finn, the e-books are free. Some good sites for free e-books are Project Gutenberg, Manybooks.net, and feedbooks.com, and most of the e-book sales sites also feature free e-books. E-books won’t be pushing paper books out of the picture anytime soon. However, with their mobility, convenience, instantaneous delivery, and (usually) lower prices, they have managed to permeate the marketplace and complement the use of traditional books. They are here to stay, and their presence and use will only grow. My time at Beyond Distance is coming to an end and I felt this was a good time to look back at some achievements during my work with DUCKLING, OTTER and the entire Beyond Distance team that I value most. DUCKLING in an eggshell. This poster an attempt to crack out of the typical ‘research project-poster’ style and is one of the deliverables of the DUCKLING project. Being an award winning OTTER. I previously blogged about this but winning the virtual poster competition, but the chance to caricature all the OTTER team stands out for me. One team member even used his picture in his Facebook profile picture! Producing 438 credits worth of OERs (with the OTTER team). The team went above and beyond the call of duty (i.e funder’s requirements) by producing such an impressive amount of credits. Take a look through our repository and let us know what you think! A new Media Zoo banner and logo. The Media Zoo website has moved into Plone (our content management system) and with it comes a new banner and logo. I’m pleased with my attempt at capturing the feel of the physical zoo with the array animals that ‘live’ there. Learning Futures Festival Online 2010. To be part of an 8 day 24/7 online conference was a huge achievement during a snowy January that brought the UK to a standstill. What makes this an even greater achievement is that we released over 75% of the keynotes, workshops and paper presentations as OERs. And one more thing that I’m proud of is the small amount of photos of me that exist during my time here, to which my colleagues can testify! As someone who does npot enjoy getting their photo taken this is definitely an achievement. Finally could I take this opportunity to wish everyone at Beyond Distance and other colleagues at the University of Leicester the very best for the future while I (hopefully) say ‘hello’ to new opportunities. In line with the launch of the new Media Zoo website, now with a great new banner designed by Emma, I have started work on redeveloping the Media Zoo Island in Second Life – with help from Paul, of course. The island was built originally to serve as a place to showcase all the projects of Beyond Distance, as well as specifically to run the Second Life MOOSE project. As we move into 2011, and especially because of the requirements of SWIFT, the time has come to move the island into what I’ve called Phase II of its existence. 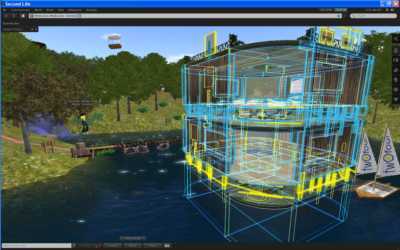 Part of the DUCKLING project, the oil rig has proved an popular artefact and simulation, and will be part of the 2010 JISC online conference. It is the main feature in the lagoon and, because it wasn’t needed for Phase II, we removed the boat house. The pier has been kept, and the motor launches used to ferry visitors and students to the rig will moored along it. Another significant change in the lagoon has been to move and reshape the beach that formed such an important part of our 2010 Learning Futures Festival. The beach now forms part of the penininsula that contains the Saami tent. The main work, however, will come with readapting what were the Safari Park and Breeding Area domes. One will be used to showcase the projects from all four quadrants of the Media Zoo while the other – at the moment – is likely to become an auditorium/lecture hall/gathering place. Phase II, which builds upon the success of Phase I, is partly about adapting the island to current needs, but also preparing it for future work and projects. Join us on Media Zoo Island at http://slurl.com/secondlife/Media%20Zoo/171/102/25. DUCKLING started researching the impact of e-book readers on distance work-based learners about a year ago. I did a presentation at ALT-C 2009 about DUCKLING’s experience of using new technologies , including the e-book readers. At the beginning of my presentation, I asked the audience a question about how many of them owned or used an e-book reader. Very few people in the room responded to my question. At ALT-C 2010 this year, I did another presentation specifically about e-book readers, and I asked the audience the same question. To my surprise, half of the audience raised their hands! 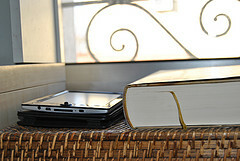 The e-reader is one of the fast-growing and changing technologies in the past year. Changes and movements in this technology are on news every day. For example, Leeds University gives textbooks on iPhones to its medical students (but students have to give back the iPhone when they graduate). Free e-reader software has been recently released and is set to ‘revolutionise the e-book reading experience’. You can see a screenshot of what the Blio[TM] free e-reading software looks like below. It is amazing to see how e-books and e-readers have shaped our life, changed our relationship with traditional books and the library, and the way we learn. Between 7 and 9 September 2010, colleagues from all projects at Beyond Distance attended the ALT-C annual conference in Nottingham. DUCKLING was represented via 3 well attended and very well received papers – one presented by Gabi Witthaus on the use of Second Life in the School of Education, one by Ming Nie on e-books and e-book readers and one by myself on podcasting in curriculum delivery. I also presented a paper on the lessons learned and deliverables from the OTTER project, with a focus on the CORRE framework for transforming teaching materials into open educational resources (OERs). This paper also attracted a very good audience. I took that opportunity to fly the flag of our Phase 2 OER projects, OSTRICH (under the ‘cascade’ strand) and TIGER (‘new release’ strand). Other Beyond Distance colleagues contributed excellent papers on SWIFT and CALF, two of our other research projects. ALT-C was again a highly successful conference – where once more, the Media Zoo wildlife was prominent. 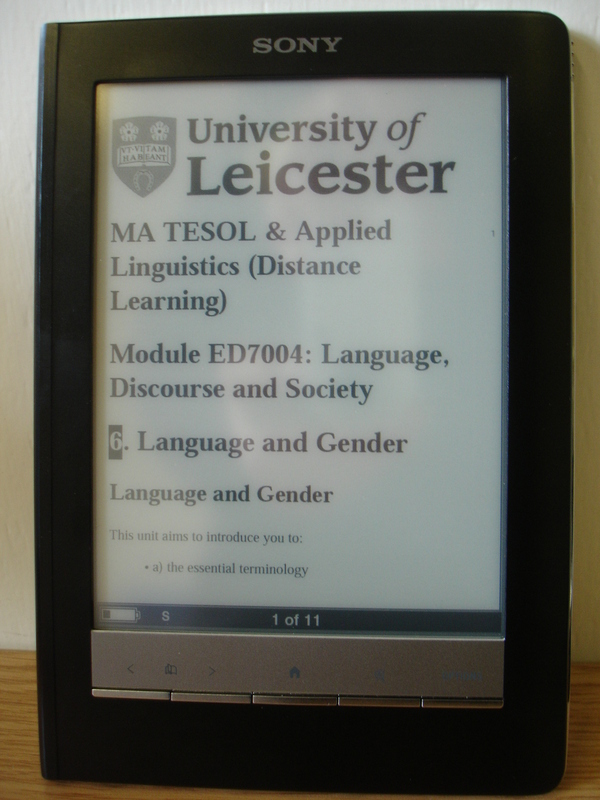 E-book readers have been tested recently by work-based Masters’ students in Education (TESOL), studying at a distance, at the University of Leicester. The trial was part of DUCKLING, one of BDRA’s projects, funded by JISC. Last week I read a draft case study by Ming Nie on these students’ reactions to using the Sony PRS-505 e-book readers (not the latest model). She says that the readers, preloaded with module materials, a textbook and podcasts were given to 17 Education students. The devices, they said, increased the flexibility and mobility of their learning, helped them to save resources and costs on printing, enabled them to do more reading of course materials during the working day and helped them to conduct their studies more effectively . There’s been a lot of press interest in such readers. The Guardian (July 21) carried a front-page item about Amazon selling more e-books for the Kindle reader in the past three months in the US than it had hardbacks (though US hardback sales rose by 22%, in case you think the book is doomed already). Five authors had sold more than half a million digital copies each. In the UK, though, sales of e-books last year were worth ‘only’ £150 million. A recent survey for The Bookseller of 3,000 British book-buying consumers showed that only 26% of respondents had heard of a Kindle and only 41% knew what a Sony Reader was, although 60% had heard of the iPad. They said they were “unlikely” (36.8%) or would “definitely not” (32.3%) buy an e-reader in the coming year. Of course, few of those surveyed may have been students at the time. Brian Croxall reflects on his experience of getting students to use Web 2.0 technology such as Google Docs, Twitter, Wave, Wikis and Zotero: it was mainly positive, he said, but beware of ‘tool fatigue’. Students may be happy to use new technologies, but there’s a limit to their enthusiasm. Mine too! Have you heard of Kno? I hadn’t. It’s an e-reader being developed for the HE market and due in the autumn. This twin-colour-screen wi-fi device will support Flash, HTML5, PDF and ePub formats. See the video, but what about its price and battery life? The World eBook Fair claims to have 3.5 million e-books that can be read or downloaded. It’s free until 4 Aug, then $8.95 per year. Although I’d guess that a few thousand of these could be valuable in some way to UK university students, I do wonder whether e-book design is going to turn out to be different from that of the paper originals. I read this week that embedded video and audio in e-books will be with us soon. What a challenge — and what an opportunity for e-learning designers! 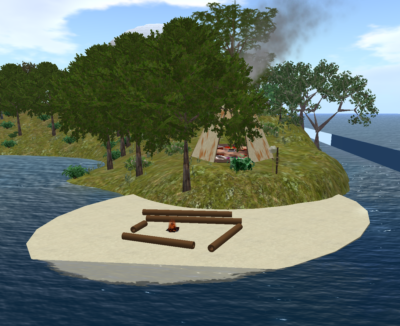 The DUCKLING project, a collaborative effort between University of Leicester’s Beyond Distance, the School of Psychology and the School of Education has been examining the impact on distance students’ learning of three technologies: podcasts, ebook readers, and the use of Second Life. 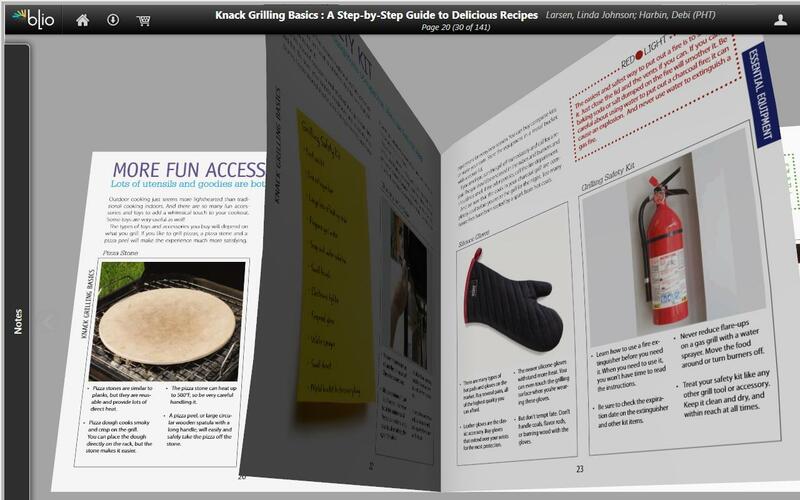 Back in autumn 2009, we loaded learning materials onto ebook readers and shipped them out to distance students around the world, in lieu of the stacks of printed material shipped in years past and at greater cost. (For a simple guide to change Word documents to epub documents suitable for most ebook readers, click here to download from the DUCKLING website.) As one of the learning technologists working on the project, I provided subsequent support to the students, mostly by answering their questions on a Blackboard discussion board. In March of 2010, we shipped ebook readers to a new cohort of distance students, and I have again been providing technical support by discussion on Blackboard. I observed an interesting development in the kinds of questions being asked. The September 2009 cohort asked questions about the different software required by the ereader (Sony Reader Library, Calibre) and what platforms these run on, whether PDF documents display on ereaders (answer: they do, but line breaks are rigid so the document does not “flow”). Students also commented that they appreciated carrying all reading material in one package especially while travelling, and the fact that their ereader was a conversation-starter on their morning commute. Some students commented that they wished their ereader had facilities for note-taking (the Sony PRS-505 used in this project does not have this facility). In January 2010 the Consumer Electronics Association predicted ereader sales will double in 2010, as Amazon announced the Kindle was “the most gifted item ever from its website” according to Dan Nystedt, IDG News Service. The Apple iPad has every possibility of being a game-changer in this field. Our students’ comments illustrate the speed at which the ebooks and ereaders market is advancing. For students looking for a convenient and cost-effective way of accessing academic material, the change cannot happen too soon. Delivering University Curricula: Knowledge, Learning and INnovation Gains (the DUCKLING project) at the University of Leicester in BDRA is investigating the use of podcasting, Sony e-book readers and Second Life by distance learners taking postgraduate courses in Occupational Psychology and Teaching English to Speakers of Other Languages (TESOL). I shall be delving into DUCKLING over the next few days and may soon have more comments on it for my next blog. It’s certainly a remarkable research project, as I heard during a recent PANTHER seminar at the university, when two staff from Occupational Psychology and one from Education (TESOL) told us about their experiences in developing and using podcasts in their teaching. Recently I picked up from the virtual airwaves some news that may interest you about other e-books and e-book readers (none of which I’ve actually seen or used as yet). Wiley has joined Simon & Schuster, Barnes & Noble, O’Reilly and many other publishers to offer e-books in the Scribd Store, which enables you to embed and share documents in a Flash viewer. Scribd has been working with publishers to sell downloadable digital versions of their books, available as PDFs, and excerpts can be shared through the Scribd reader. I gather that this strategy is seen as a counterweight to the closed Kindle store. Spring Design, developer of the new dual-screen Alex eReader, has struck a deal with Google that gives users access to more than 1m Google books. The device is a Google Android-based platform with Web browser, Wi-Fi connectivity, audio and video playback and image viewing in several formats. Ray Kurzweil is presenting a platform rather than a physical device. The Blio software is free and available for PCs, iPod Touch and iPhone. He says, “We have high-quality graphics and animated features. Other e-readers are very primitive.” One of Blio’s major advantages is that the software offers full colour as opposed to e-Ink’s monochrome, and text-to-speech is built in. I won’t even mention use of the Apple iPad, which is not yet the subject of BDRA research. Nor is the big, thin and bendy Skiff eReader, with an 11.5” display or Philips Liquavista colour eReader that uses ‘electrowetting’ display technology, whatever that is. And Plastic Logic’s Que reader has a big screen (8.5” x 11”) but a big price (US$650). The enTourage eDGe interactive dualbook combines an e-book reader, notepad and tablet netbook in one device. McGraw-Hill Education has announced a strategic alliance with its makers, enTourage Systems, to deliver nearly 100 top-selling McGraw-Hill HE titles to the device, spanning disciplines such as business, economics, science, mathematics, humanities, foreign languages and social sciences. Students purchasing these titles through the enTourage Systems e-book store can read the text, take and share notes online, search for phrases, listen to accompanying audio, and view images and video in full colour. Toys for learning and teaching? We shall see. At the LLAS (Subject Centre for Languages, Linguistics and Area Studies) E-learning Symposium on Friday 29 January 2010, Ming Nie and I, together with our avatars Ming Cham and Daffodil Moonwall, presented on our recent Second Life (SL) project with distance students on the Online MA in TESOL and Applied Linguistics. The presentation is described in the DUCKLING blog. Here I want to reflect on the combination of technologies used in the presentation. For anyone who missed the live session and would like to see the recording, it is available, along with recordings of the other sessions from the symposium, at www.tinyurl.com/LLAS-livestream. From a technical point of view, everything went very smoothly. Ming and I had our PowerPoint slides embedded in Second Life, and our avatars stood on either side of the virtual screen. I had two microphones – a lapel mike for the live streaming, and a headset mike for SL. We connected to SL without a hitch, and with the help of technical gurus on both sides (thanks Graham, Dean, Terese, Simon and Paul!) we managed to get excellent sound quality in both venues. Perhaps both Daffodil and Ming Cham need to learn the art of moving unobtrusively and gesturing while speaking? (Not as easy it sounds though, because as soon as you move your avatar, you also lose your view of the presentation screen at least momentarily, which could be very disorientating for any audience members watching the screen from the presenters’ point of view.) Perhaps we could have tried lip-synching, so that it was clear which avatar was speaking? Perhaps we could have hovered over the screen rather than standing next to it? Perhaps we could have used a more visually attractive presentation format such as Prezi, rather than PowerPoint? Perhaps… we could get some creative ideas from blog readers for the next time we try something like this?